Like the previous two years, I’m happy to be a media partner of the French security conference “Hack in Paris“. The schedule is now online, great talks are foreseen! As a media partner, I receive a bunch of coupons for you. They will allow you to attend the two-days event for free. Wanna play? The challenge starts by downloading this file. Be curious! The challenge is in the file. Don’t try to abuse this website. Only one coupon per player. If you win a coupon, be sure to be able to attend the conference in Paris, June 2015. Do not waste them and let me know if you played for the fun. 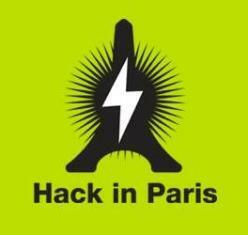 Access to the Hack in Paris conference on June 18th – 19th in Paris. Access to the next event “La Nuit du Hack “on June 20th (same place). Travel, food and hotel and all extra costs. Coupons are not valid for training. You don’t want to play and directly register? The registration page is here. @xme ~ I’ve a solution, but probably partial. Where can I submit it ?